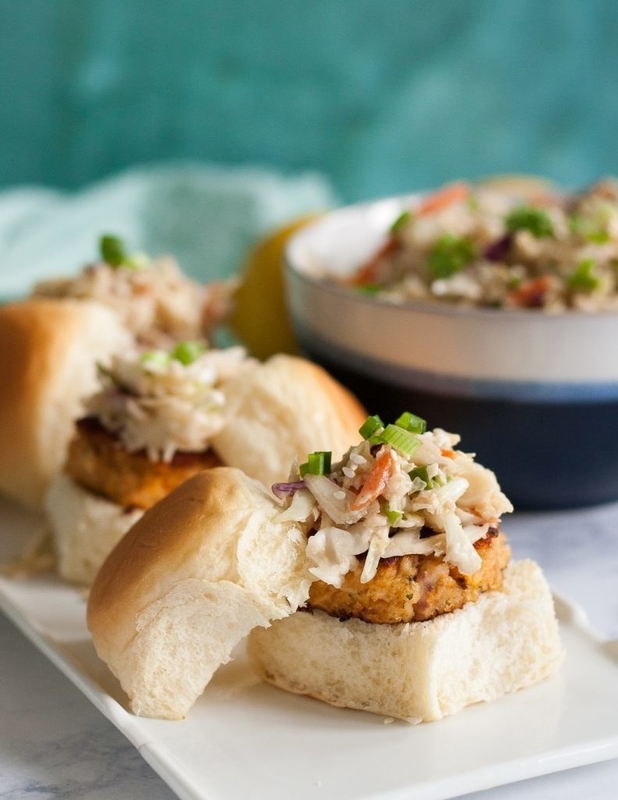 All you need is a can of tuna and a few ingredients you (probably) already have. 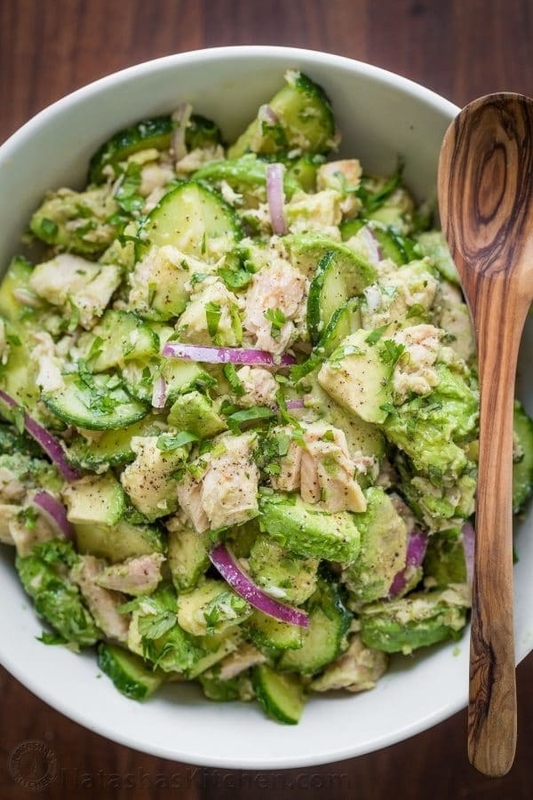 Creamy avocado, yummy tuna, and fresh slices of cucumber make this the perfect warm weather dish. Recipe here. Prep a large batch in advance and have it on toast, crackers, in a salad, or just by itself throughout the week. Recipe here. There are tons of ways to enjoy a classic tuna salad, but none are as timeless as the tuna melt. Have it with fresh slices of ripe avocado, tomato, and your favorite melted cheese. Recipe here. When you combine tuna with bacon, delicious things can happen. Recipe here. This pasta recipe is your pantry's best friend. 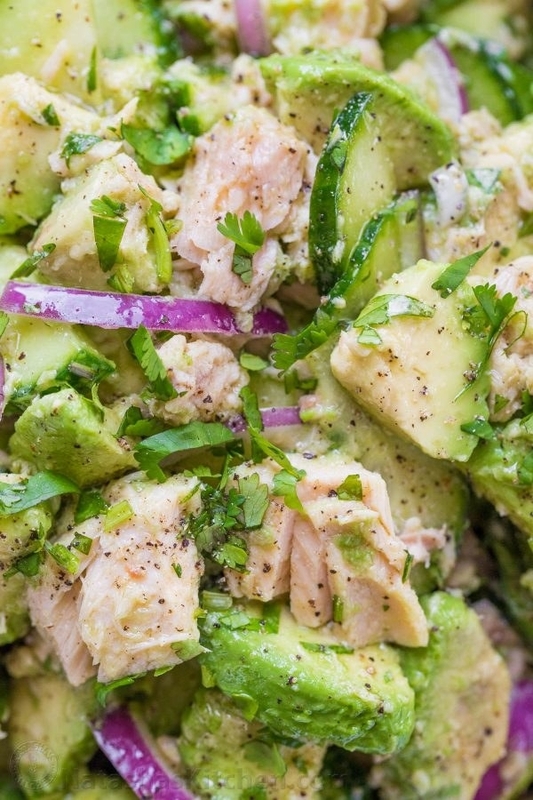 It combines frozen peas, canned tuna, and pasta, and transforms it into a light and protein-packed dish you'll love reheating over and over. Recipe here. The secret here is literally in the sauce, which combines mayonnaise, Sriracha, and ginger for a slightly spicy flavor. Recipe here. 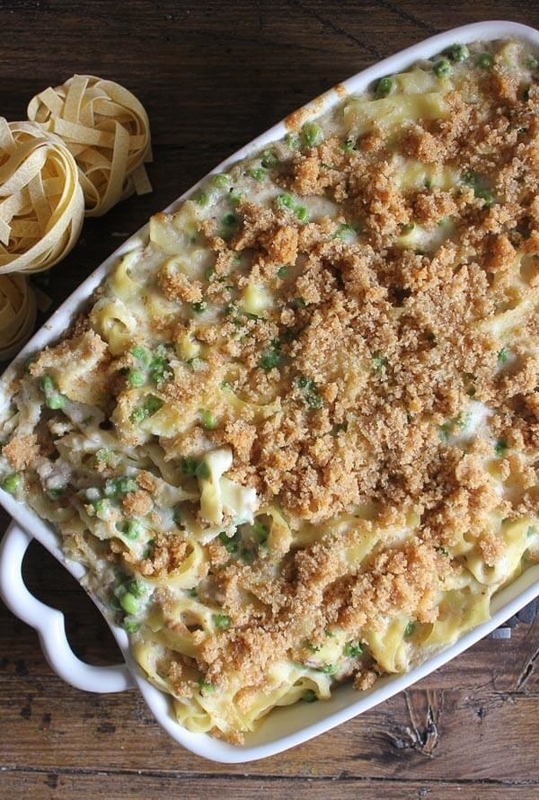 Drenched in a creamy, thick white sauce, this casserole is a crowd-pleasing comfort every potluck will love. Recipe here. 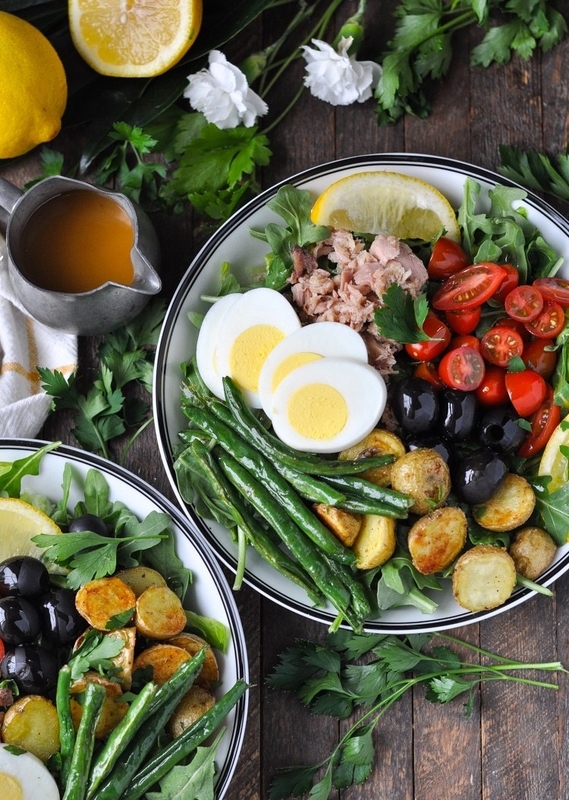 This traditional French recipe calls for tomatoes, hard-boiled eggs, olives, anchovies, tuna, potatoes, and green beans. 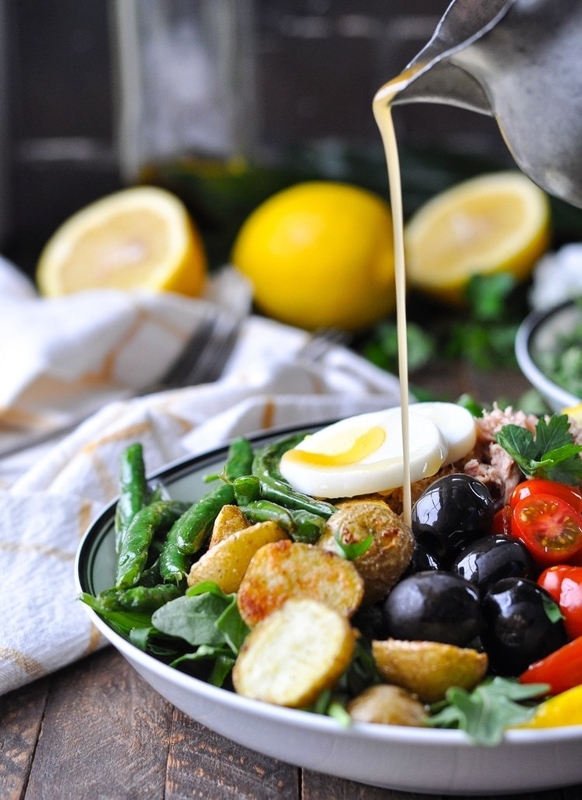 As for the tuna, make sure to use one that's packed in olive oil instead of water. Recipe here. 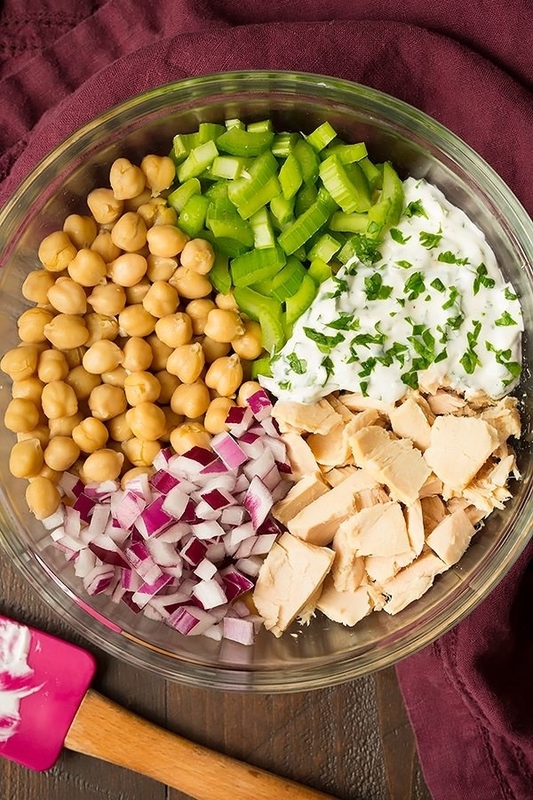 If you want to make it even creamier, add a dollop of hummus (which you can easily make with two cans of chickpeas). Recipe here. There are hundreds of ways to compose a buddha bowl, but one of the easiest involves a can of tuna. Just lay it on a bed of rice and some veggies and drizzle your favorite dressing on top. If you want a little extra texture, a sprinkle of sesame seeds will do the trick. Recipe here. 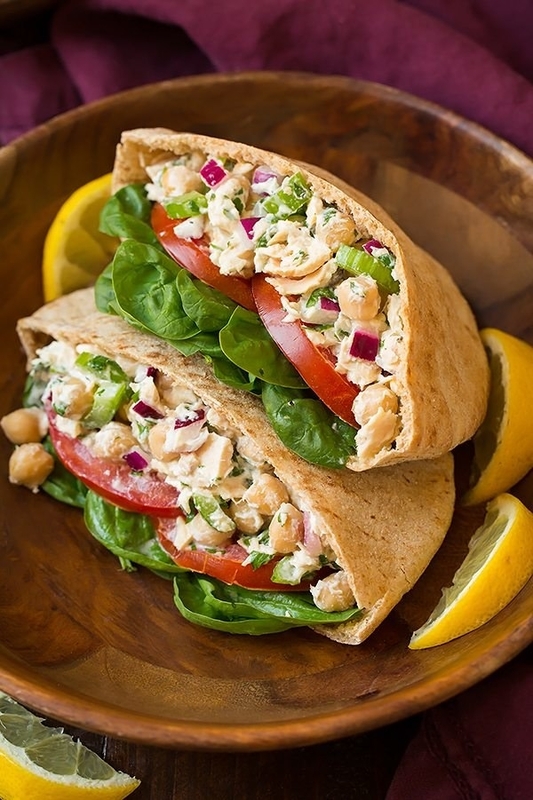 Perfect for breakfast, lunch, dinner, or just as a snack. Why are eggs so good to us? Recipe here. 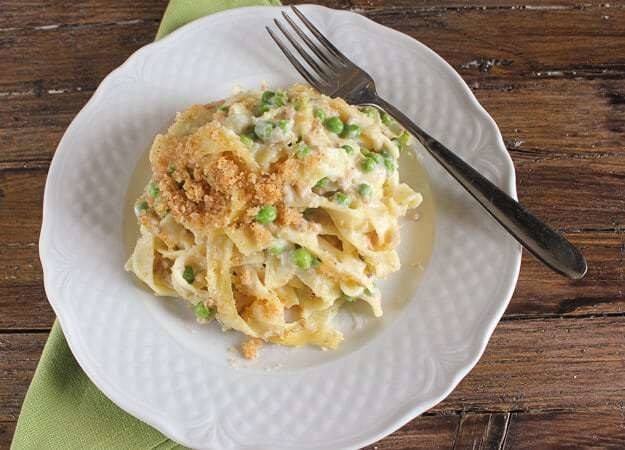 Creamy goat cheese brings all the ingredients together and makes this pasta dish extra filling. Recipe here. When pasta with red sauce sounds a little too basic, spruce it up with savory tuna and peas. 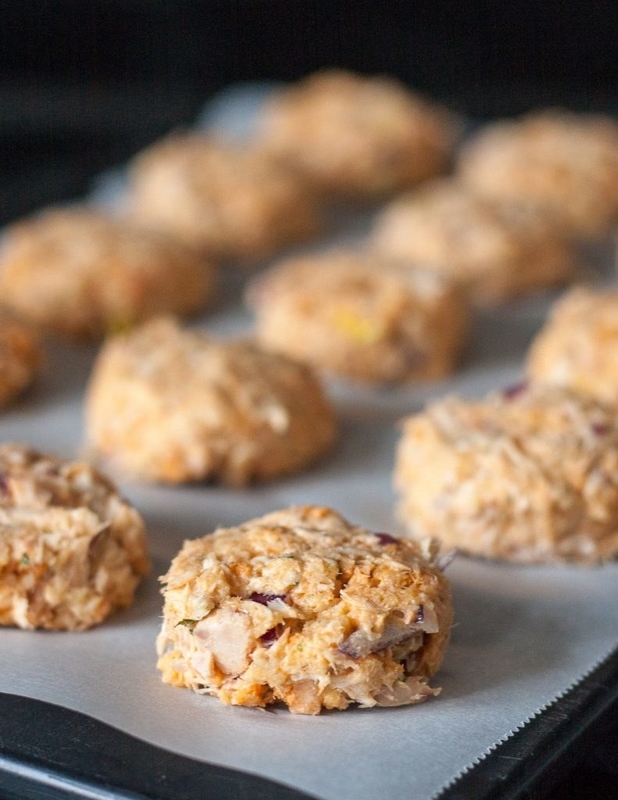 If you have any leftover vegetables, this would be a good recipe to toss those into as well. Recipe here. Onigiri, or rice balls, is a popular snack or light meal item in Japan. They're fun to make and fun to eat 😊. Recipe here. 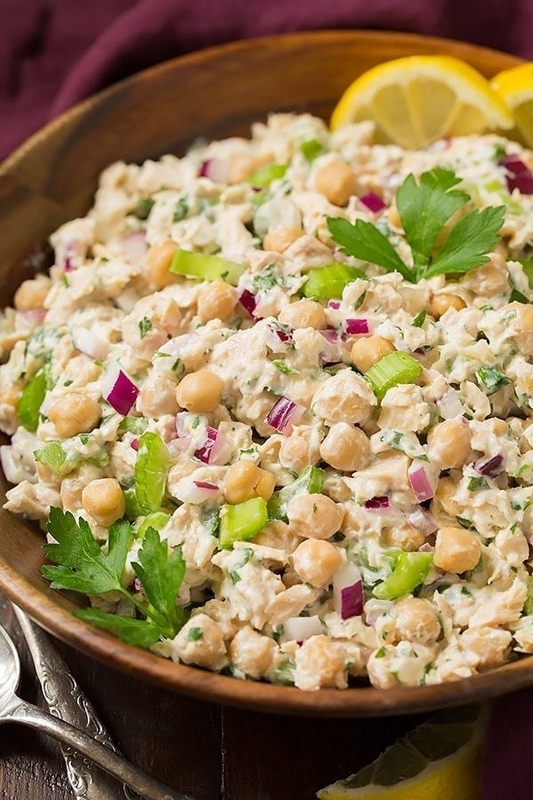 This variation on a tuna salad is studded with red pepper, onion, and dill for the perfect combination of zest, crunch, and green flavor. Recipe here.